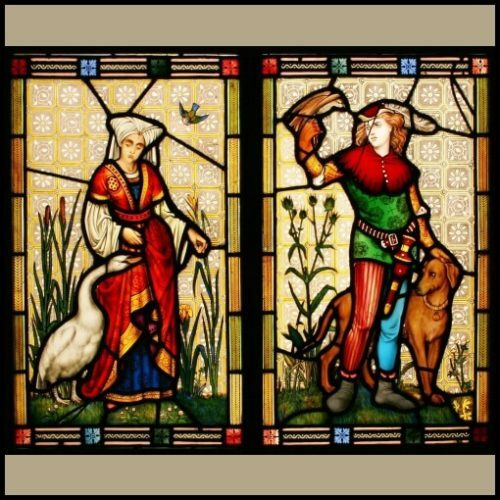 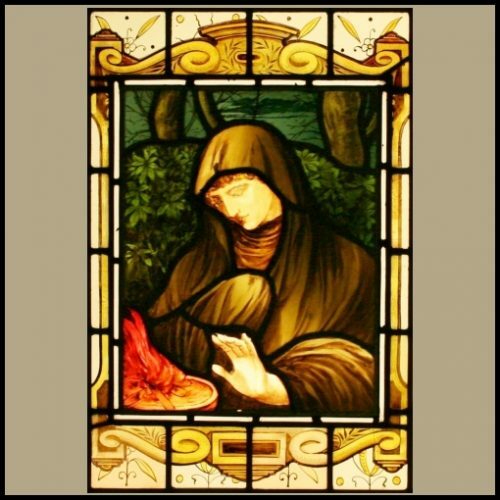 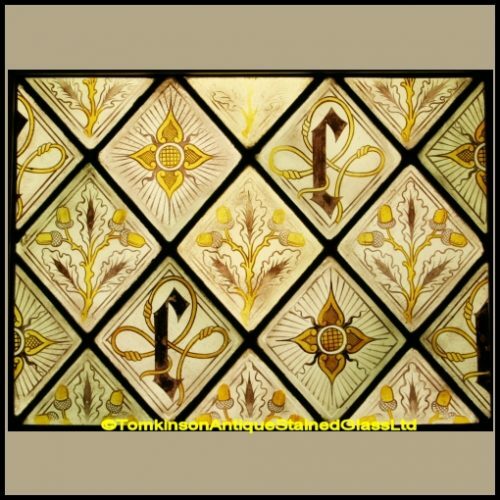 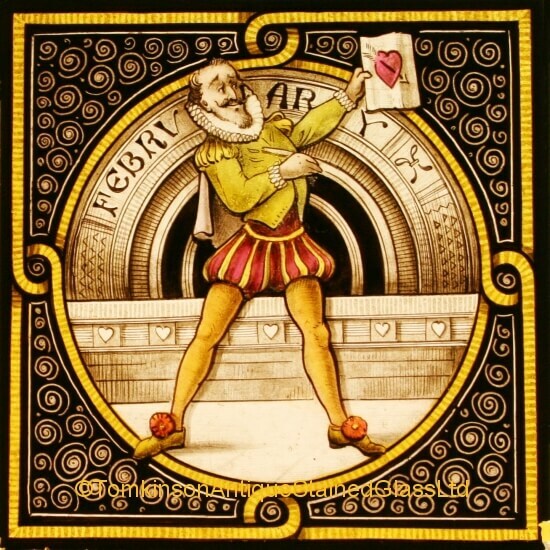 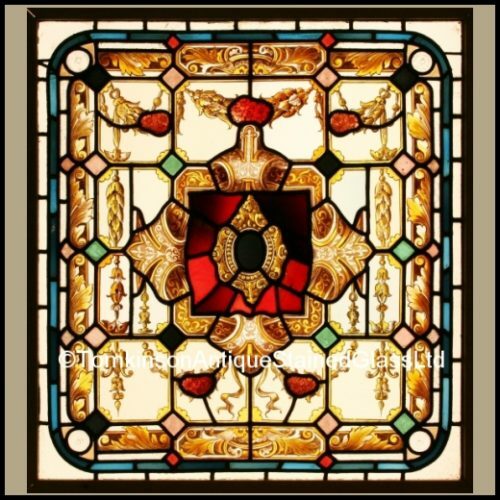 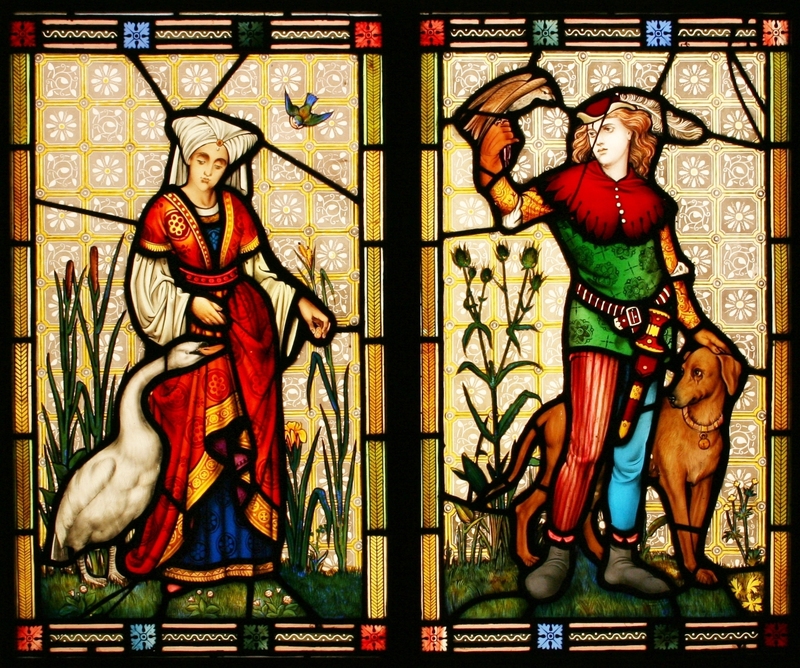 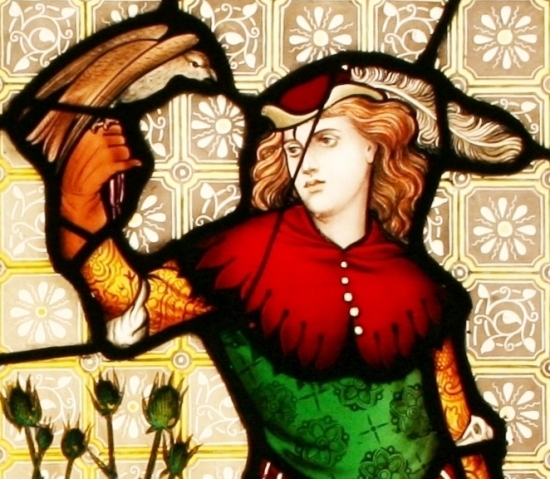 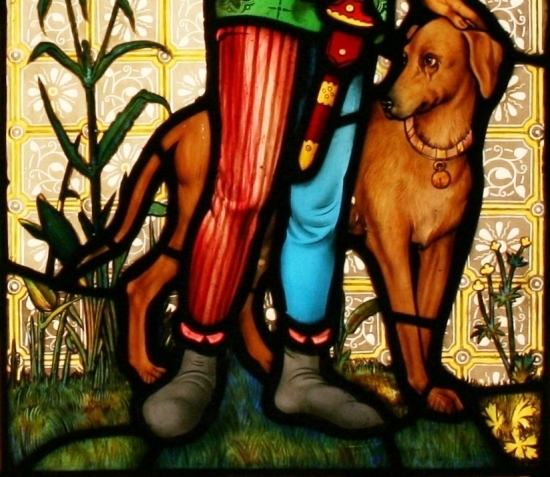 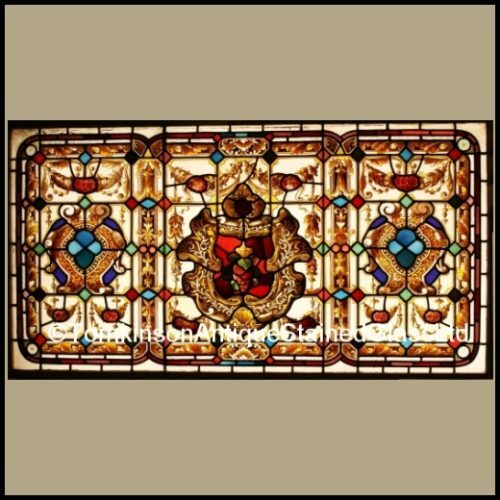 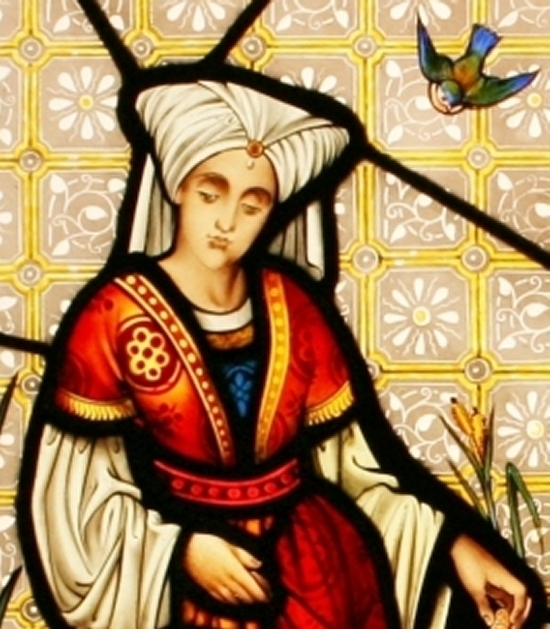 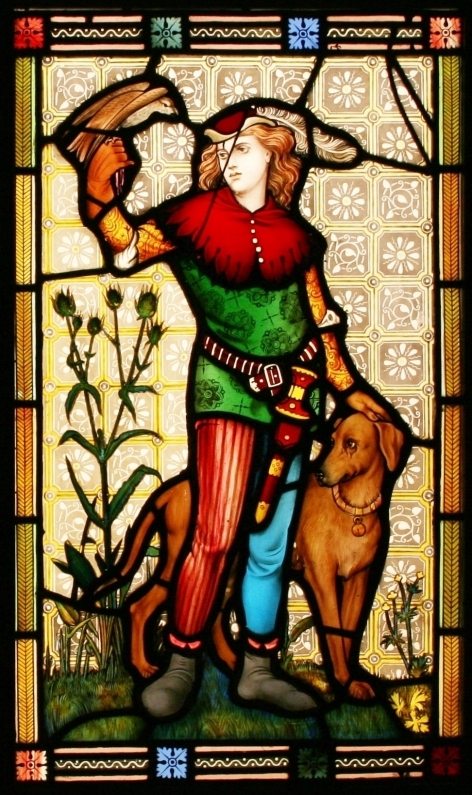 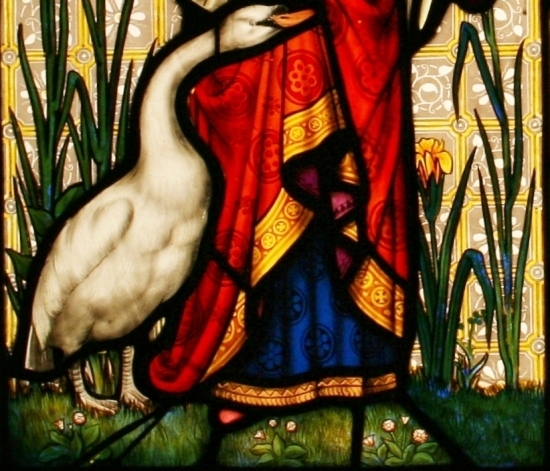 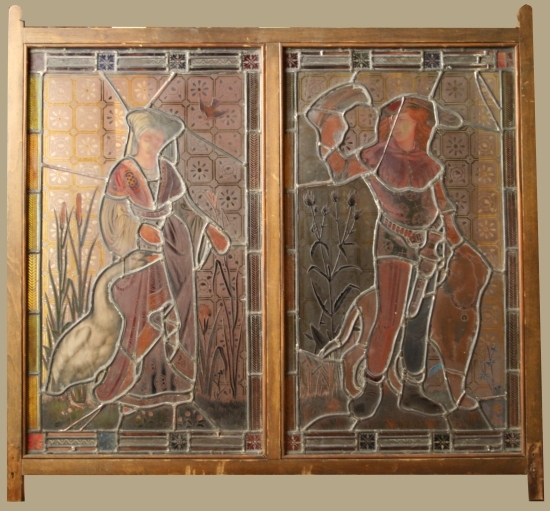 Two antique Victorian stained glass panels inserted into an Oak wood frame, both leaded with hand painted coloured glass depicting a Pre-Raphaelite Maiden feeding a Swan and Pre-Raphaelite man holding a Hawk and hunting dog at his heel. 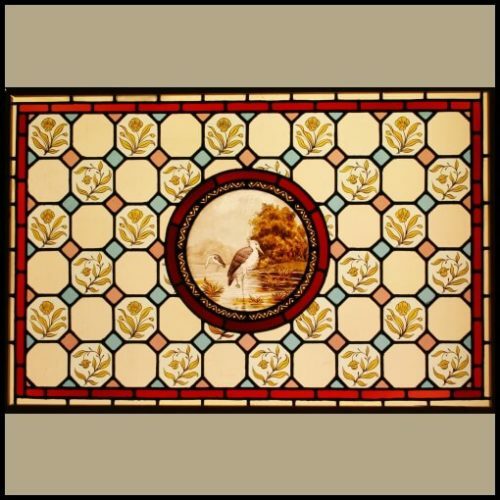 Around are birds, various flowers and a decorative border. 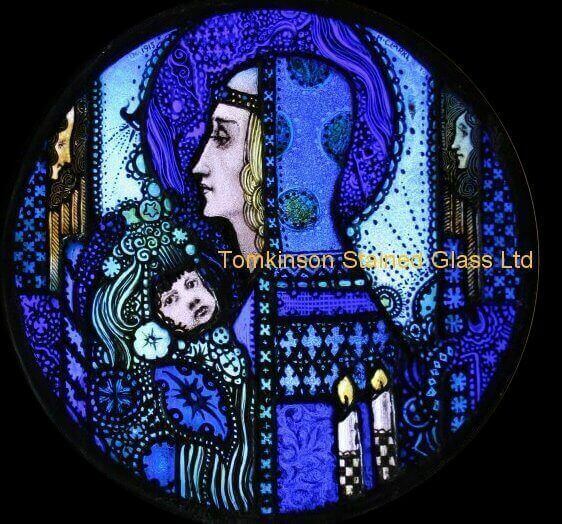 Super quality with acid etching to the glass, silver stain and enamels paints. 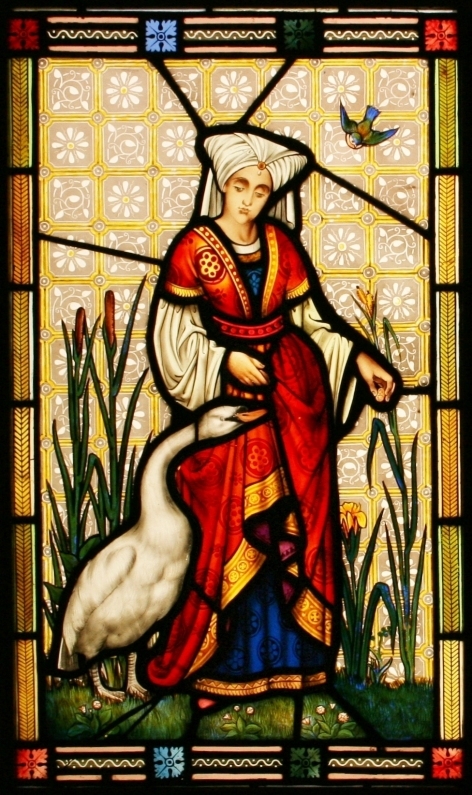 Slight restoration, which has kept the window is original condition.